Ford Motor Company set up shop all over the world after conquering the United States. They had arms in Brazil, Australia, Germany, Britain, and even France (and for the most part, still do). The history of Ford in France is probably the most unusual – founded in 1916, the original company didn’t fare so well because the cars were too pricey. Enter Émile Mathis, who started building cars under his own name in 1910. At the onset of the 1930s, his fortunes waned and his company was pretty much finished. But Ford, who was also struggling, partnered with the beleaguered French firm and formed Matford (it was technically a joint venture tilted 60/40 in Ford’s favor). Matford copied British Fords, but were British Fords ever this stylish? The V8 was a 2.2-liter unit that made 60 horsepower. Matford built cars between 1934 and 1942, with the final two years churning out only a few cars as the Germans controlled the factory and focused on trucks. After the war, Mathis was not invited by the French government to continue production, but Ford reformed its company as Ford SAF and built stylish cars until 1954 when it became part of Simca (which later became part of Chrysler until Chrysler sold its European brands to Peugeot). This pretty 2/3-seater cabriolet was restored in the 1960s. 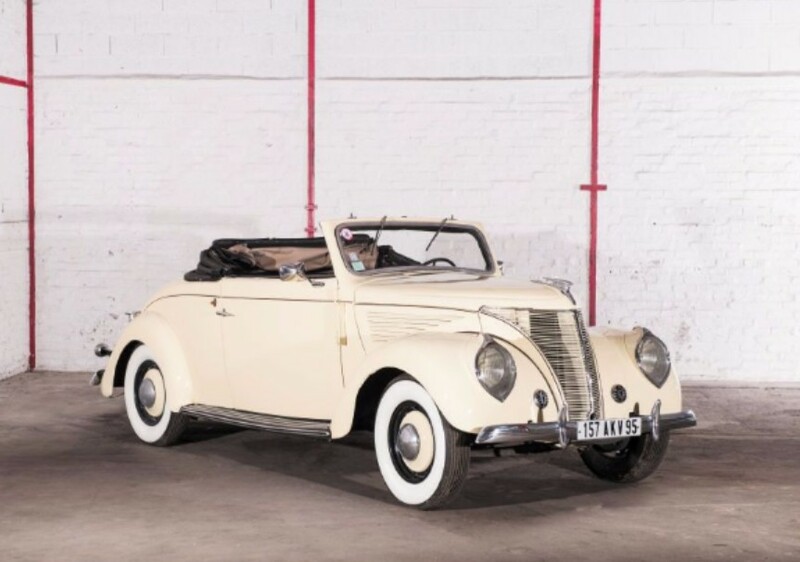 Ford didn’t offer a cabriolet in 1937, so this car was actually bodied by Antem. It’s a rare style that isn’t seen often but it is well done. It has spent a long time in the present collection and is not roadworthy (and doesn’t even have a battery in it). Slight recommissioning is required before enjoyment. It should bring between $20,250-$27,000. Click here for more info and here for more from this sale. Hans Glas GmbH was a German auto manufacturer that built things like the Goggomobil and a few cars under the Glas brand. In 1966, BMW acquired Glas, mainly for their production capacity. They phased out most of the Glas models, or at least changed their names to BMWs. The 3000 was branded as BMW-Glas 3000 V8 for 1967 and 1968. 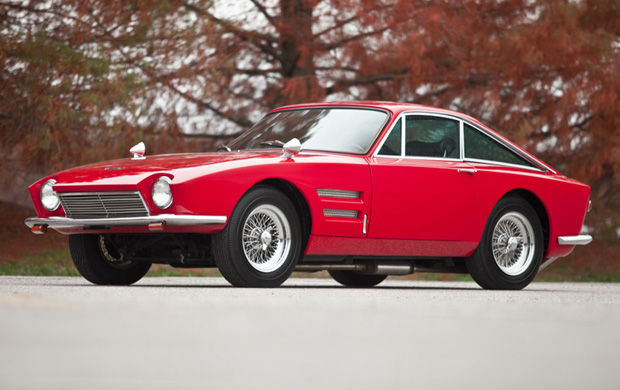 The original Glas 3000 was designed by Frua. 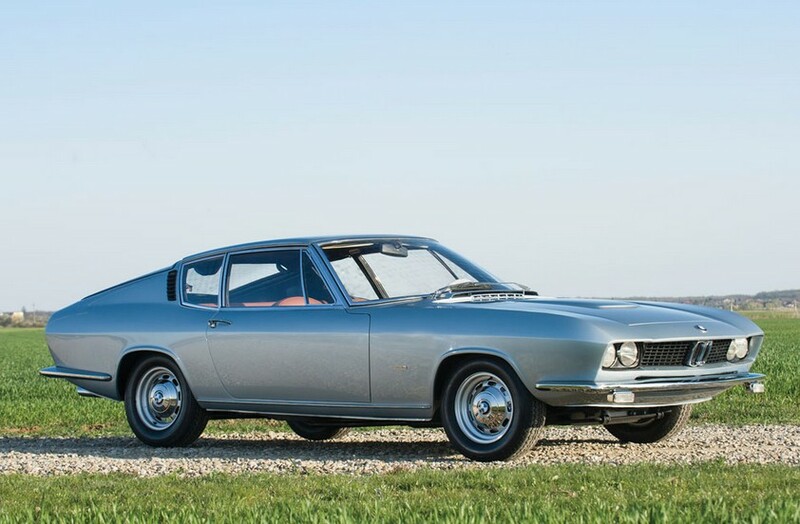 It was a kind of boxy coupe, but when BMW came in, Frua designed this Fastback version. BMW took it to motor shows all over Europe, but it was the only one like it built. It is powered by a 160 horsepower 3.0-liter V-8. It is coming up for sale off of a fresh restoration and has just under 65,000 miles on the odometer. Being one of one, it will command a premium over all over 3000 V8s. It should sell for between $410,000-$520,000. Click here for more info and here for more from this sale. There are sporty cars from the U.K. from the 1930s that everyone knows about, like the SS100 and Invictas. Then there are the lesser known ones like Arabs and this beautiful Autovia. Like Arab, Autovia was a very short-lived marque. 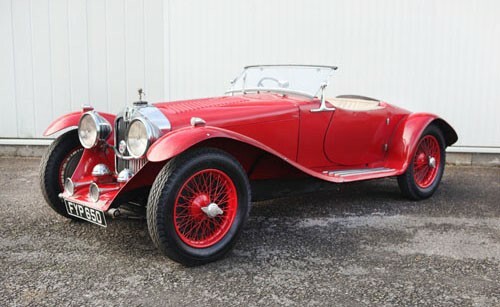 Founded in Coventry in 1937 as a subsidiary of well-known Riley. The cars were expensive, luxurious and sporty. It was a market that was already full of more prominent manufacturers. Two different sedan bodstyles were offered, as well as a limousine. In total, only 38 four-door cars were built. There were also six bare chassis sold – this is one of those cars. The Autovia proved an expensive experiment that ultimately bankrupted Riley, which was acquired by the Nuffield Organization in 1938. Autovia disappeared forever after that. This car is the only Autovia to receive two-door aluminium roadster bodywork. What sets this roadster apart from many other British sports cars of the day is the engine. It’s a 3.0-liter V-8 making 125 horsepower. That’s a lot more than most of its competition – it’s Bugatti territory. This is a very quick car. And very desirable too. Only eight Autovias are thought to survive, with this one having the most desirable coachwork (by far). This is definitely one of the stars of this auction. You can read more here and find out what other cars will be crossing the block here. Update: Sold for about $110,000. When TVR ran into some financial trouble in the late 60s, a dealer stepped up and took on a new prototype built on a TVR Grantura chassis with a body by Fissore. The dealer reworked the design a little bit – switching it to an Austin-Healey 3000 chassis and dropping in a 289 Ford V8. And that is what makes a Trident Clipper. Only 29 were built with the V8 (there were about 100 built later with a V6). This car makes 271 horsepower and can hit 150 mph and 60 mph in about five seconds. These cars have attractive styling and power to back up the somewhat menacing looks – check out how the headlights are set back into the front of the car, the outside edge wrapping around it a little bit. It’s kind of pointy and aggressive. Trident Clippers don’t come up for sale everyday, although Hyman Ltd. in St. Louis had one for sale recently for $75,000 (it may be this same car). Fantasy Junction in Emeryville, California also had one, but that was likely more than a year ago. 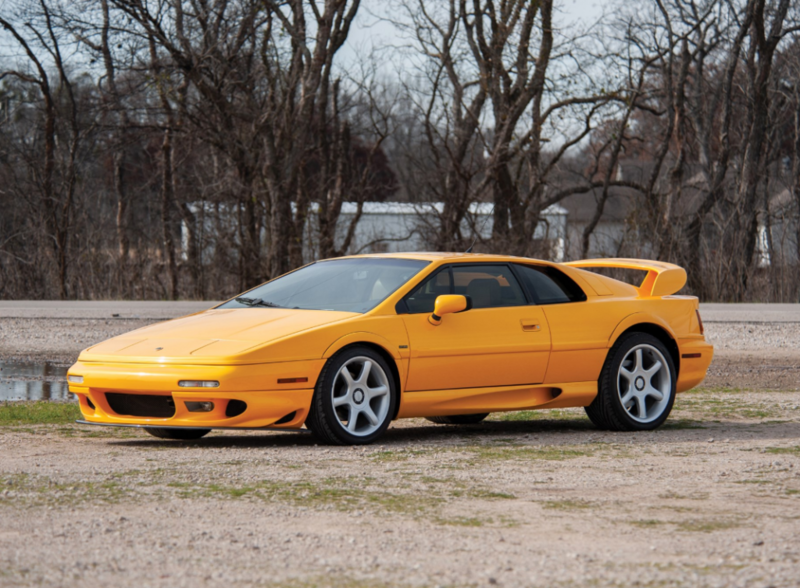 Gooding estimates a final sale price between $50,000 and $75,000 – which could end up being a lot cheaper than buying it off the showroom floor of a classic car dealer. For more info, click here and for more on the auction, here.